Join us for Flash Talks and Happy Hour! The second meeting of the CCS Social Systems Informatics Members will now take place (reschedule post-Hurricane-Irma from 9/8) on Friday, 12/1 in the Abess Center (Ungar Building 230C-D) from 3:00 to 5:30 PM. Please feel free to drop in during those hours. Refreshments (beer, wine, hors d’oeuvre) will be served. 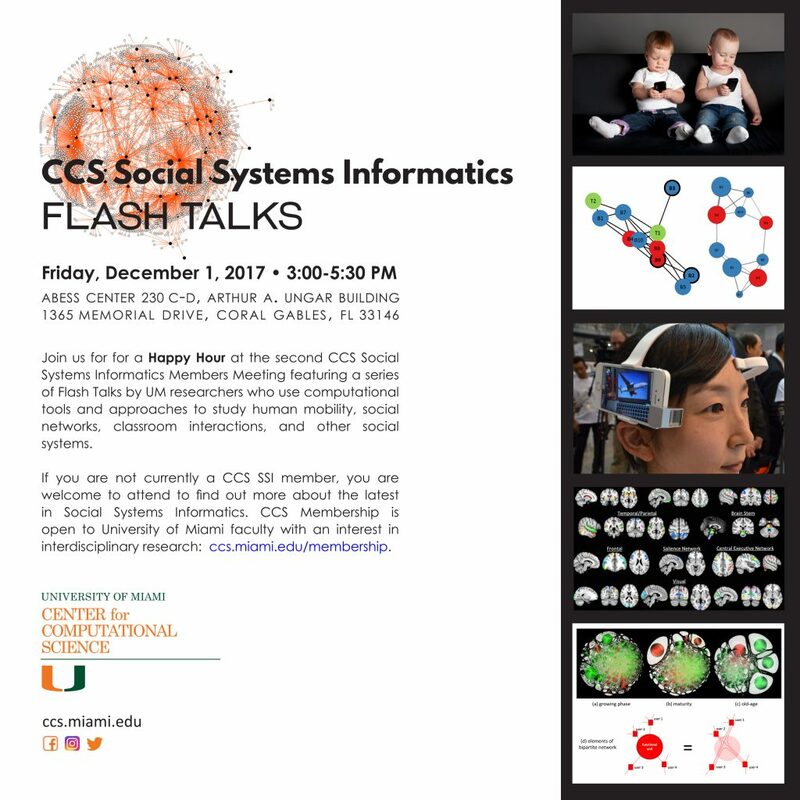 CCS SSI Members will give flash talks (approx. 5 minutes each) on what they are currently working on. You do not need to be a CCS Member or a CCS SSI Member to participate. Hope to see you there. This event is free and open to UM Faculty, Staff, and Students. 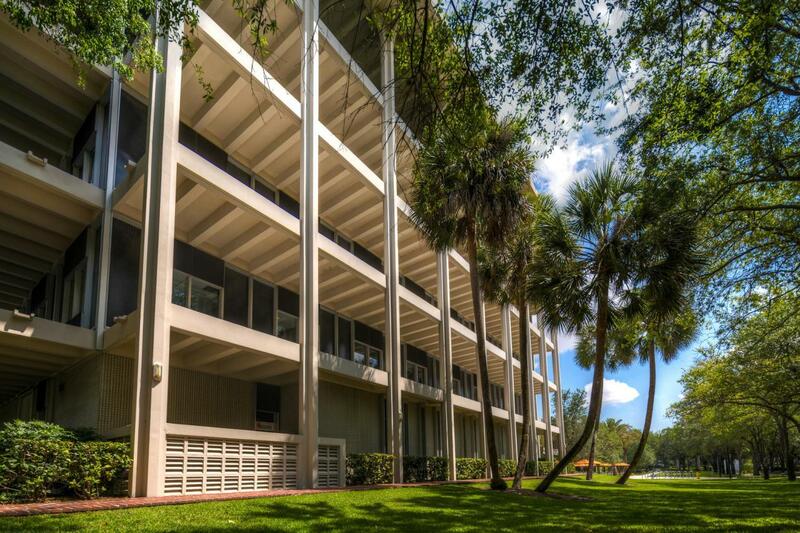 For more information, please email ccsadministration@miami.edu.